In the 'N' Gauge section of the club, work has continued on the wiring of "Pendlebury Parva" which included making all the wiring looms tidy. Comment from one member "Ohh, thats very neat!!!" In the 'OO' Gauge section of the club, the scenics continue to be worked on. 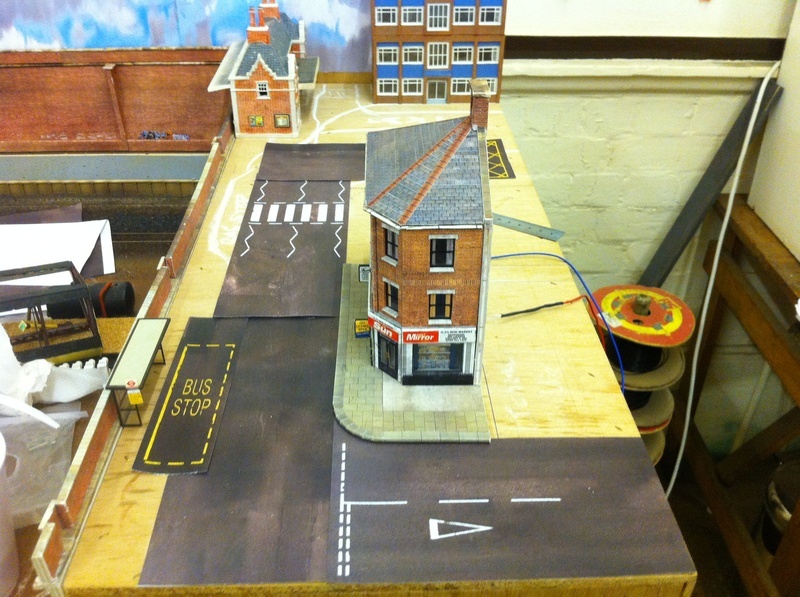 The backsecene is starting to take shape and we have started to model the position of the roads & items. 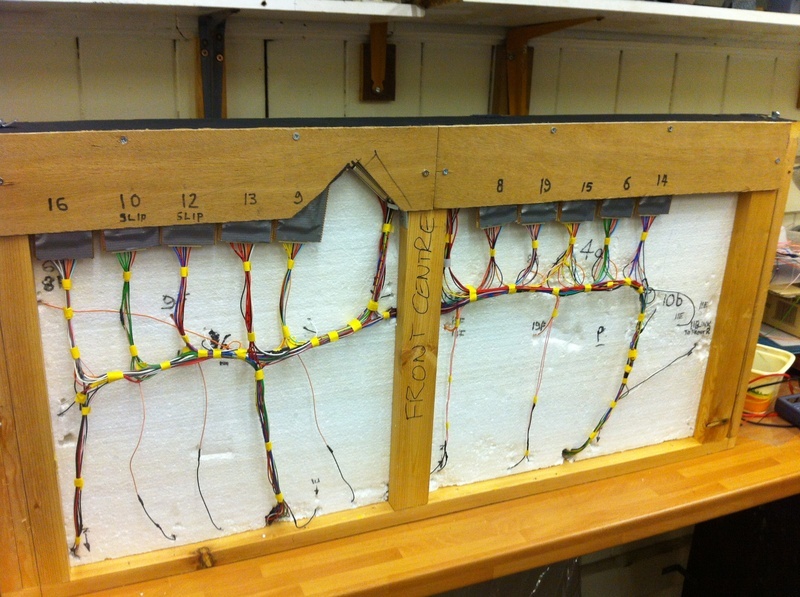 That's impressively neat wiring? Have you considered combined multiple wires into a single and using D connectors or RJ45 connectors to run them over distances and allow for easier connecting?